Drawing with a look back to the past, to the vintage style. The right balance between design, craftsmanship and research. And the story goes on ... A family tradition. Leonardo Officina Italiana is a forge, a laboratory where experience and craftsmanship are mixed giving life to pleasure, the pleasure of writing. Over 45 years of experience in the field of writing instruments, handed down from father to son, from generation to generation. Today Leonardo Officina Italiana works on emotional and vintage projects, taking up the old loading systems, the materials and the working techniques that once characterized the craft of the craftsman. The Leonardo pens have a soul, a human warmth that only passion can give. The fountain pen carved into the material is certainly this detail that differentiates us on the world market. 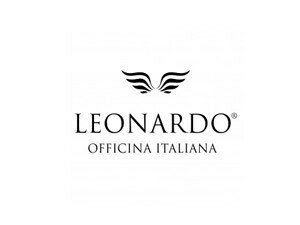 Each Leonardo collection is manually obtained in Italy. Exclusive and selected materials, celluloid, ebonite, wood, special resins, bronze and precious metal, always with a vintage imprint. Even the ebonite and resins are subjected to dedicated treatments to last over time, forever, to be passed down from generation to generation. Assistance and warranty: All the collections of the Leonardo Italian workshop are guaranteed for life against any manufacturing defect. Technical assistance and repairs are carried out at the official headquarters.